Sometimes we all need a little inspiration to motivate us into doing something that, for some, would be more of a chore rather than a pleasurable experience. 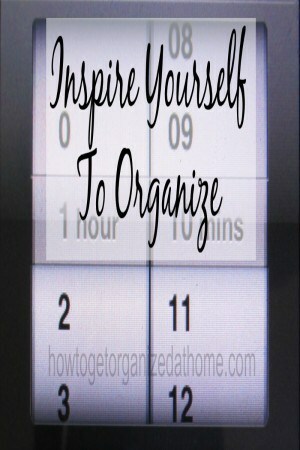 Finding something that inspires you to become organized or just to manage your daily tasks is personal, which is why there are so many motivational tools that are different and are there to appeal to different people, to inspire them in their own way. it means there is a set time limit to the event and even just 5 minutes on the clock is manageable for most people; it is not a long time, which can sometimes put off a job for fear of the potential time it can take. Inviting a friend or family member over can inspire you to clean up your home. It can give you the push to inspire you to clean. A treat after a task is motivational, it is something simple as a reward, this to some might seem childish but it works. Next time you are struggling to finish something, it might be organizing something or even writing a report at work, think of something that will lift your spirits, a coffee break or a walk round the block, you might be surprised how focused you can become looking forward to the reward. 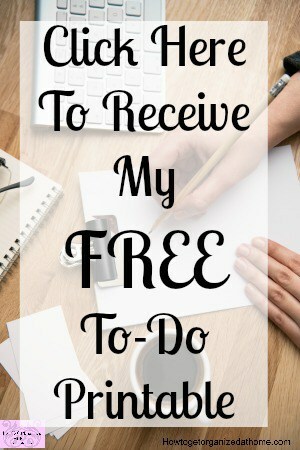 Sometimes the thought of a task can seem overwhelming, too much to do. It is important that you break down these tasks into something smaller so it doesn’t seem like more than you can manage. You might be surprised at what you can actually achieve, a whole room rearrange, perhaps? Clearing out the clutter in itself is inspirational, it can make yourself proud and in future there is less to clean. Sometimes, the lack of motivation is more than a dip in the energy levels required for the task ahead, this is why it is important that if you feel that it is more than a bad day or two, you might need to talk to your doctor. Depression can act differently in different people, some find life too difficult to manage, and this includes having motivation or the inspiration to clean and organize your home. Getting the medical attention is vital if you are looking to move away from this period. It can make you feel worse not being able to cope, but lighting the fire in the right way and getting the help that you need is crucial if you are looking to fight off depression. There are tips that can help to inspire you, organization skills that you have in your life and home will help overcome the obstacles that you might be currently facing. There is hope, not all ideas are suitable as some people respond differently to inspiration techniques than others; it is about trial and error and discovering what works well for you.